The city is distributing 100,000 free smoke alarms as part of a campaign to to help New Yorkers escape house fires. The $4 million initiative is being paid for with tax dollars and the fire department's not-for-profit foundation. Kidde, a smoke alarm manufacturer,, is donating half of the alarms and the American Red Cross is offering to install the alarms for free. Many have died in fires in homes with no working detectors, fire officials stress. "Smoke alarms are not a luxury. They are a necessity," said Mayor Bill de Blasio. 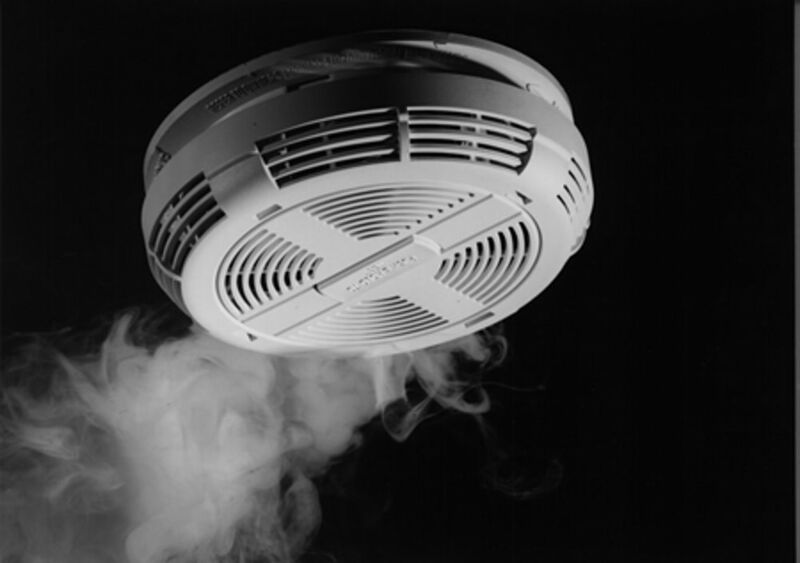 "It is required that every home have a smoke alarm. It is one of the most fundamental things a family can do to protect themselves. "The batteries run out. They expire. They have expiration dates. Some people don't even realize that," said one New Yorker. "You are cooking and there is a lot of smoke, and you take out a battery, and then that's it," said another. For more information about the program, call 311. A Hatzolah EMS volunteer was cut on the back around 9 p.m. Tuesday, Nov. 3 on Eastern Parkway near Rogers Avenue in Crown Heights. He was rushed to a nearby hospital and was expected to recover fully. There was already a large police presence in the area at the time of the attack, in advance of scheduled convention later in the week. "I think that on the eve of this convention, when you have thousands of rabbis and religious leaders that are going to converge on Crown Heights, this is a very religious community, I think that there's concern, and police are doing a great job to make sure they are as thorough as possible," said Borough President Eric Adams. Adams says the incident is being investigated as a potential hate crime. Police say they have a person in custody after two people were slashed Tuesday afternoon onboard a Manhattan-bound C train in Ocean Hill. Police say the victims were slashed with a box-cutter in two different train cars., causing non-life threatening injuries. There were no arrests by posting time. Police have released surveillance video of two suspects wanted in connection with the death of a man last week during an armed robbery in a Brooklyn deli. Police say they entered the Deli Grocery And Grill on Remsen Avenue, near Church Avenue, in East Flatbush on Oct.27 about 9:30 p.m.
One suspect, armed with a gun, approached the counter and demanded money. That's when investigators say he turned and shot a 32-year-old customer. "Damion Francis, who was a customer in the store, intercedes and tries to calm the situation down. When he does that, the man in the red hooded sweatshirt points his firearm at Mr. Francis, pulls the trigger, and strikes him in the chest," said NYPD Inspector Michael Baldassano. Francis was pronounced dead at the hospital. "It could have been happened to any one of us because most of the time, nine out of 10 of us see something happening with somebody and we try to say, hey, you know, take it easy," Baldassano. said. The suspect is described as being 5 feet, 7 inches tall, weighing 150 pounds. He was wearing a red hoodie and gray pants. A second suspect is described as being 5 feet, 8 inches tall, weighing 160 pounds. He was wearing a black hoodie. Popular Manhattan Beach community activist Ed Eisenberg, who died last March 1 at age 79 from a heart condition, was honored with a new street sign on Sunday, Nov. 1 at the corner of Kensington Street and Oriental Boulevard, near where he lived and close to park areas that he advocated to bring to the community..